Galway City. The City of the Tribes is a 3-hour drive straight across the country from Dublin. If you want quirkiness this is the place for you. The epicentre, Eyre Square, is a virtual student encampment during the summer months. The main shopping street – Shop Street – is mad with tourists, buskers and other street entertainers. (Question – why does every busker on God’s earth think they can sing and play like Mark Knopfler?) Great medieval buildings (e.g. Lynch’s Castle and the Spanish Arch). A beautiful riverside walk past the great Cathedral up to the weir. And, a pleasant walk away, the Salthill seafront for families, children and joggers. A lovely view of Galway Bay. Best thing in Galway? Possibly Kashmir Indian Restaurant. Ballina, Co. Mayo. Huh? you may ask. It doesn’t have many fans but I love this little town perched out in the wild West. Keep your overrated Westport and go to Ballina. 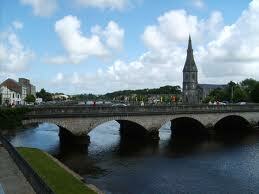 Dominated by the fish-heavy River Moy, Ballina was the starting point for General Humbert’s ill-fated 1798 rebellion. Across the river from the town lies the posh Hotel Belleek Castle and not-so-posh Belleek Woods, a great venue for a run. In the evening enjoy a crawl through the town’s comfortable and quiet bars. Best thing in Ballina – choose either the Woods or the pubs. 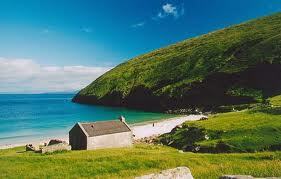 Achill Island, Co. Mayo. Cross the little land bridge and you are in another world. Here be wildest Ireland with just a few scattered settlements to welcome the visitor. Keel, the ‘capital’ attracts the camping crowd during the season and it’s where you’ll find the ceilidh and the craic, otherwise it’s just magnificent hills and cliffs. Best thing in Achill – the Deserted Village on the slopes of Slievemore is a chilling testament to the famine times when whole settlements were forced from their homes in search of food. Avoca, Co. Wicklow. From wild to rather twee. 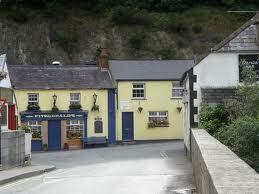 The village of Avoca was where the TV series Ballykissangel was filmed. It’s a while now but the village used to be full of TV fans gawking at the church, shop etc. featured on the telly and even having a drink in Fitzgerald’s Bar. Nearby is the Meeting of the Waters, where the Avonmore and Beg come together and made famous by Thomas Moore. Tourist attraction or not it’s a perfect place to stop and stretch your legs. Best place in Avoca – the above-mentioned Meeting of the Waters. Howth, North Co. Dublin. A favourite escape for city dwellers, the picture-postcard fishing village of Howth is at the northern end of the DART line. Here is a commercial fishing harbour but also market traders of all types, especially at the weekend. One enterprising fish merchant used to offer a ‘champagne and oysters’ bar in his establishment, possibly he still does. Out in the bay lies the uninhabited Ireland’s Eye, familiar to those flying in to the city. For those requiring more exercise the Howth Peninsula offers cliff walks and views to die for. But don’t take my word for it, read Arran Henderson’s brilliant blog post. Best thing in Howth – the cliff walks. Bonus place. Lisdoonvarna, Co Clare. This is a cheat as I’ve only ever driven through. But if you are a farmer seeking a wife now the harvest is in, or a maiden seeking marriage to a man with a satisfactory number of cows, this is the place for you. And your man is matchmaker Willie Daly who has been responsible for countless marriages. 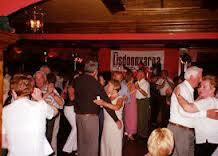 Best thing in Lisdoonvarna – it’s your turn to tell me! But before you do have a listen to Christy Moore’s great song about the place. Six more reasons to visit Ireland. 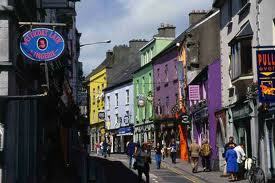 Galway especially piques my interest! Not Lisdoonvarna after the harvest Julie? Is Mr. Daly an actual matchmaker, then? 🙂 Yes, it’s his business. He’s the fourth generation of a family of matchmakers and still gets plenty of work, even in these days of Internet dating. That post deserved a refresh Arran. I love this post! I feel like I’ve been on a mini vacation. 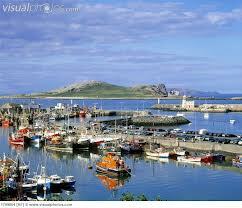 Howth Harbour looks beautiful. Thanks Jill. Howth is great. These pics are beautiful, Roy. And these are #6-10?! I haven’t made it to Ireland yet, but I hear nothing but great things. The thing with Ireland Jane is that it’s really as beautiful as the pic. Even when it’s raining (most of the time) the beauty shines through. Ooooooh, Lisdoonvarna. Love Christy Moore’s take on this place, too! Ah yes Deb, thank you! I’m going to add in a link to the Christy song! More great choices, Roy. I’m shocked that you haven’t stopped off in Lisdoon! If I had a bonus place it would be in Co. Clare too ~ the road between Fanore and Ballyvaughan at sunset. The place of dreams. Beautiful photos that give such a feel for such a special place. I’ll have to keep this for the next trip. I especially love the thought of the land bridge to wildest Ireland. Thank you Sheila, though I can’t take credit for the pics. I feel a fraud nabbing them from Google Image when so many bloggers take such good pics. Indeed it’s like stepping into a different world crossing into Achill. You surprise me SV. Westport is fine but too much of a ‘destination’ for my taste. You’re right though, I had to be ruthless with my list which just shows what a wonderful country Ireland still is despite all the changes of the last 40 years. To my shame,I have never been to Ballina.Is there any county you haven’t been to in Ireland?Sounds like you’ve done them all. Be sure to blog post about it – I love a bit of local history. Ah, yes, the history thing… I`m quite a fan myself and could see you like it too from “Tess of Portelet Manor”. A wonderful post. I went to Ireland a few years ago, but missed most of the places on your list. I’m thinking I might have to go back now. Thanks Naomi, I could easily choose another 20 places. There’s always something of interest around the next corner in Ireland!